Welcome to Mystery Fossils. Do you have a fossil that defies identification? If so, Email some photos and a description to billheim@xfossils.com . 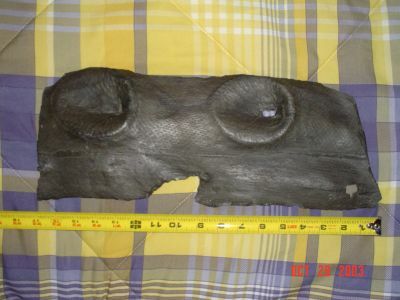 John Tate found this interesting but unidentified fossil on a road cut near Brookville Lake Indiana. 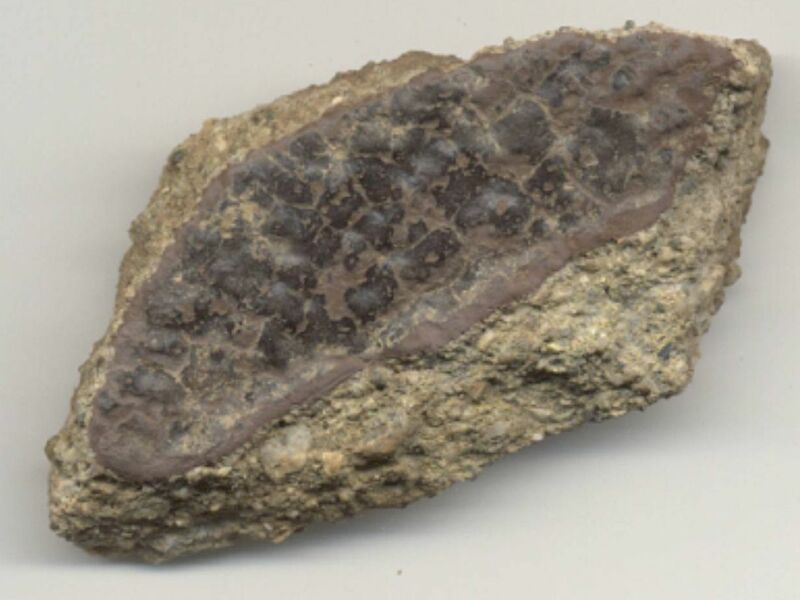 It was found in the Waynesville formation -upper Ordovician. The slab on which it was found appears to be part if a (sea) bottom hash. Other fossils - typical upper Ordovician Cincinnati fauna. The slab also has thin bryozoans and a small piece of Isotelus shell on it. Best guess to date: part of a starfish arm. I found this on 6/5/2004 near a large excavition in northeast Pennsylvania. Is it bone or wood? Rock may have been baked in a coal fire. Found near an ash deposit. The branchlike structure when seen from the end has granite-like crystals, and is lighter than the surrounding rock. The boards the rock is resting on are ~3.5" in width. Any ideas? Looking from the left side, the composition is granite-like, with an oval X-section. Click HERE for more views, close-ups and speculation on the nature of this fossil. I found a possible tree (lepidodendron tree), middle Pennsyvanian Period aprx. 307 mil yrs old. Many found in Kentucky and West Virginia also Kanawha formation. My parents say it was Pikeville, KY that the family lived, but they are no longer there. Sorry. The date found was June 1975. Note from Editor: I am wondering if this might be a different genera than Lepidodendron. Can anyone identify it from the pictures? Click here for more views and closeups of this fossil. My name Maciek and I'm from Poland. Those Lepidodendron genera is Diaphrodendron sp. ... and tree fragment on image is called Ulodendron too. This stone was found during the 1970's in my back yard. My residence at that time was located approximately 10 miles southwest of downtown Richmond, VA and just south of U.S.Route 60. The location found may have been its original location or it could have been transported to that location. Note the uncanny likeness to a heart. Click here for six other different angles of this stone. My name is Andrew. I have found a fossil that is very hard to identify. I found this fossil at an elementary school. I want to know if I should scrape away all the rock particles that surround the fossil. My fossil is about two and a half inches by one inch. My fossil is brown with some dark black. I found this fossil at Sugar Hill Elementary School off of Old Country Road in Moreno Valley Ca.. The school sits down in a valley and is surrounded by hills. This fossil was inside a crevice about 3 feet deep. 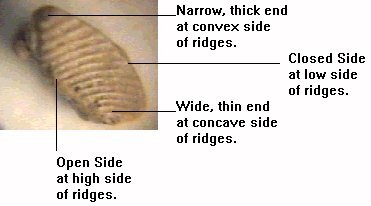 The "Wedge with Ridges" microfossil. 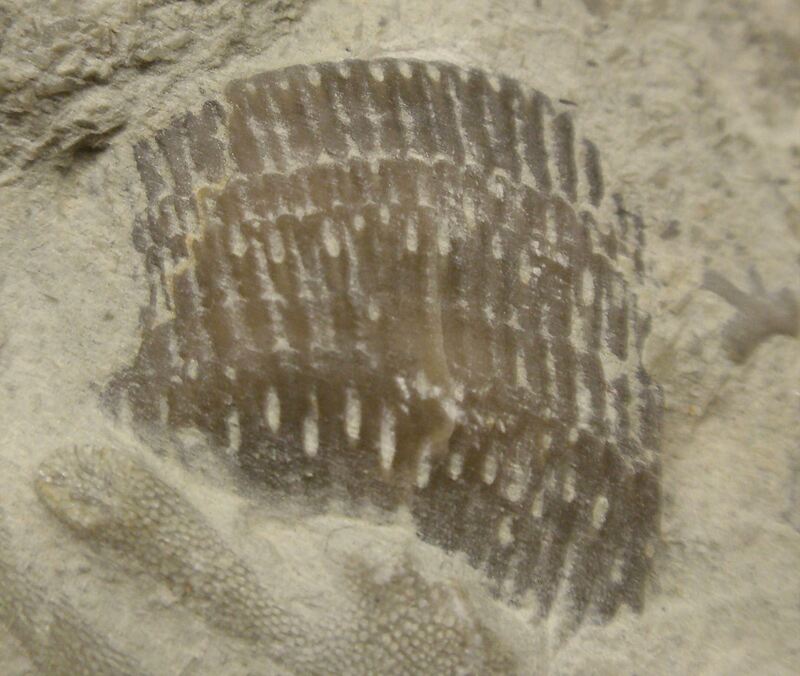 This microfossil is abundant in a thin layer of the Arnheim Formation of the Upper Ordovician rocks in Florence, Kentucky. 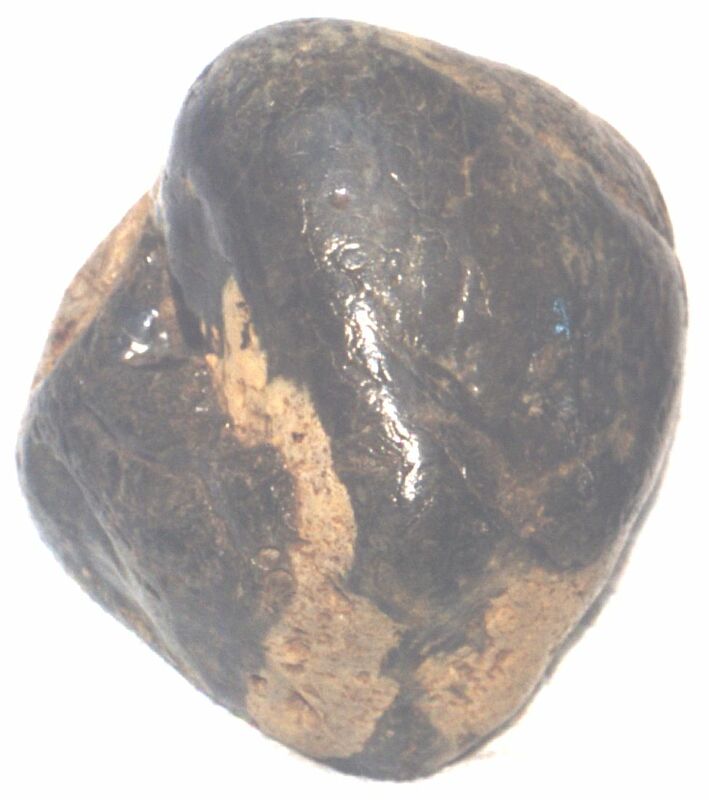 The preservation is unique to the " Cyclora Fossil Hash " micromorph assemblage. 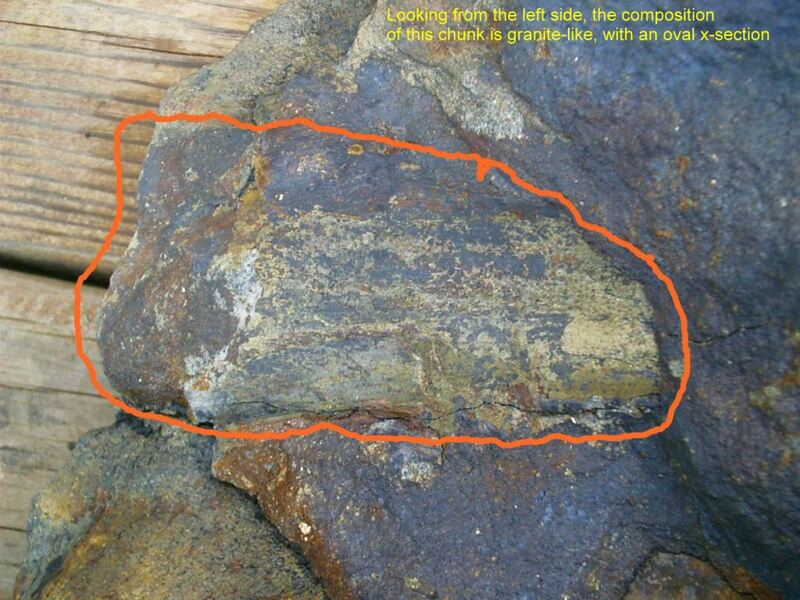 Here is all the information about this interesting fossil.